A new season is upon us and I can’t help but dream up all the fashion outfits I’m going to put together. Instead of running to the store and splurging on trendy items I may only wear once, I like to put together a list of fashion-staples I know I can wear again and again all season long. I currently have a few items on my list and the best part is they’re all under $100 because who says you can’t look good on a budget. Here are 7 fashion staples under $80 you can wear all season long! High-socks are a great transitional piece for the new season, so of course I’m obsessed with these Warm Over-the-Knee Tights. They mimic a high-sock for a layered look that will add some dimension to all your Spring outfits. Leg Warmers are another great transitional piece and will allow you to wear your new Spring dresses even on the chilliest mornings. While I’m optimistic that warmer days are ahead, in Canada we’ll still need to beat the chill for another month or so, so invest in pieces that are still cold weather-friendly. Sheer tights are the ultimate spring staple. While you can finally feel comfortable in all the dresses and skirts of your choosing, sheer tights will be your best ally as you prep your legs for the new season. 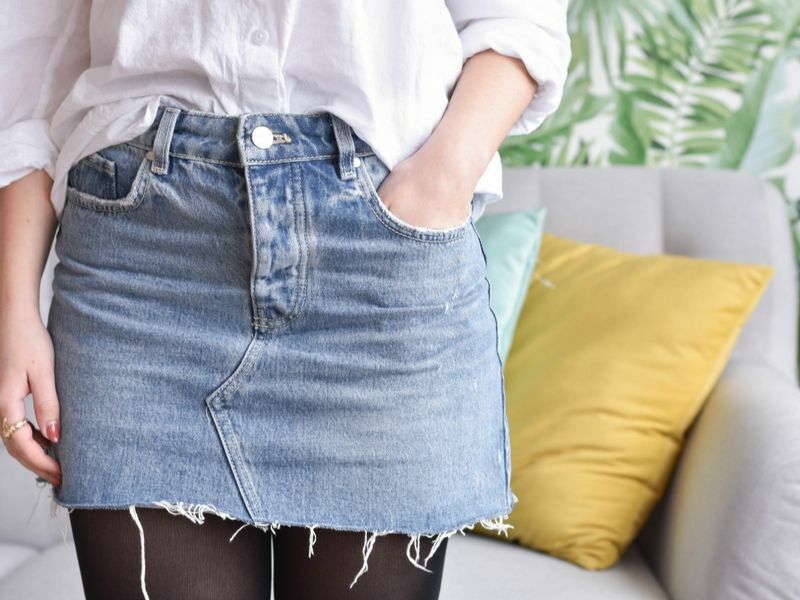 I love how versatile denim can be, so of course a mini denim skirt is a must for the new season. You can dress it up or dress it down, and it pairs perfectly with tights, and leg warmers. Statement socks are having a major moment and should definitely be on your must-have list for the new season. I love glitter socks as they pair perfectly with booties or running shoes, and are just as nice for a day or evening look. 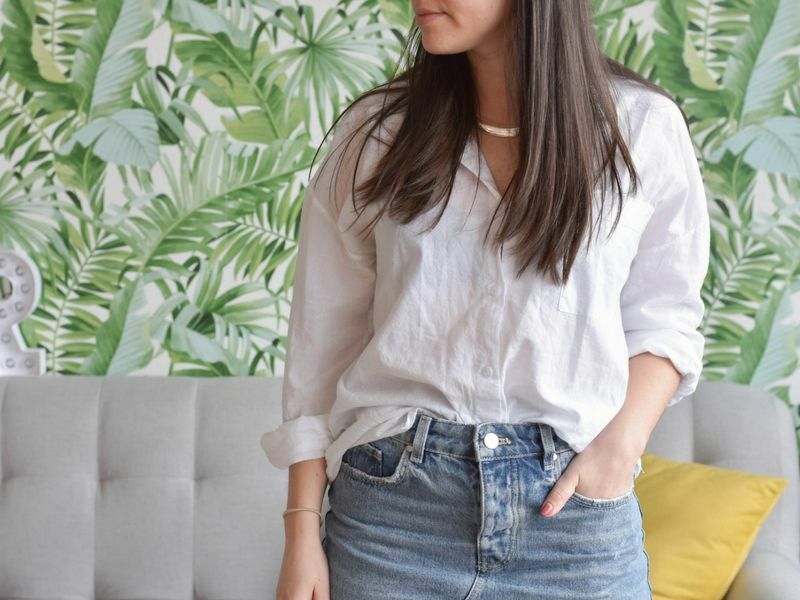 A crisp white blouse is a classic item and the perfect piece to complete your Spring looks. When shopping for a blouse, most importantly, find one that fits you properly. Finally, as the athleisure trend is still going strong, a trendy pair of leggings are a must. I love to wear leggings in the Spring with a pair of trendy sneakers. What are you buying for Spring 2018?